Wishing you all a very happy holiday, too! Now what I want to know is, did you find any mice or sparrows in that there tree? Beautiful selfie! 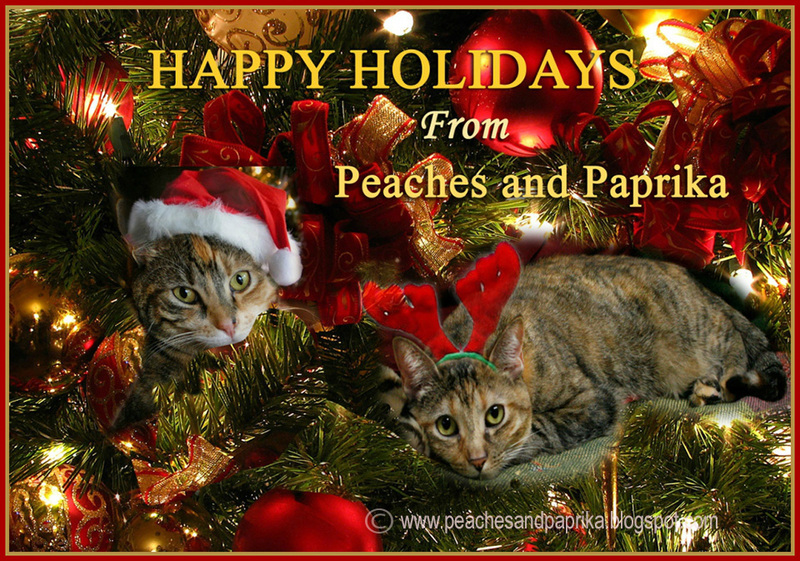 Happy Holidays Peaches and Paprika. Happiest Holidays to you too sweet friends! I'm enjoying all the beautiful cards today. I love red so this jumped right off the page. Eeek! I liked it so much I saved this one before I read your post! Have a wonderful holiday! I wish the same for you. The card is beautiful. What a BEAUTIFUL Christmas Card! We can't wait to see this year's.